- Jabón de manos de glicerina Mitchell's con lanolina 75gr. - Recambio Jabón de afeitar Mitchell's con lanolina 125gr. 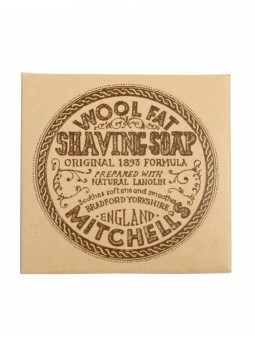 Mitchell's Wool Fat Bath Soap 75g is made from a century old recipe. It is both very pure and rich in natural lanolin derived from the wool fat in the sheep fleece. With regular use, its effect on the skin is to smooth and soften. People with sensitive or dry skin find it particularly soothing. It is, in fact, often recommended by members of the British medical profession to help alleviate skin complaints. [name] => Mitchell's Wool Fat Hand Size Soap 75gr. 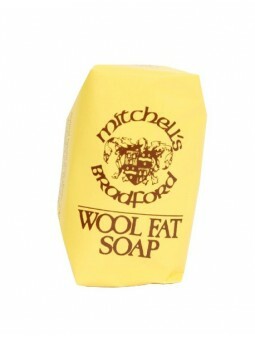 [legend] => Mitchell's Wool Fat Hand Size Soap 75gr. 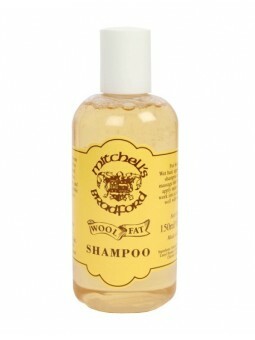 Mitchell's Wool Fat Bath & Shower Gel 300ml. Using only the finest ingredients Mitchell's bath & shower gel is prepared to provide a refreshing and luxurious way to cleanse your skin during bathing. Mitchell’s Wool Fat Shaving Soap 125gr. Mitchell’s Wool Fat Soap was created in 1930 by Fred Mitchell. It is said that sheep-shearers have exceptionally soft hands, due to the lanolin in the fleeces they handle. Lanolin is renowned for its emollient properties. With regular use its effect on the skin is to smooth and soften. People with sensitive skin or dry skin find it particularly shooting. Natural lanolin derived from the wool fat in the sheep fleece is one of the key ingredients of the ancient Mitchell’s Wool fat recipe. [name] =>  Mitchell's Wool Fat Luxury Shaving Soap Refill 125gr. [legend] =>  Mitchell's Wool Fat Luxury Shaving Soap Refill 125gr. 1 x Mitchell's Wool Fat Hand Size Soap 75gr. 1 x Mitchell's Wool Fat Luxury Shaving Soap Refill 125gr.